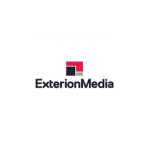 Exterion Media is a leading Out of Home media owner in the UK, providing the opportunity for advertisers to reach and enjoy extended levels of engagement with the UK’s urban audiences. Their sites in and around London’s key transport networks and retail environments ensure that they provide advertisers with access to the UK’s largest and wealthiest urban area. Presence on Bus and National Rail also provides its clients with an unparalleled scope across regional urban areas. With a vision to be number one in engaging urban audiences across the UK, Exterion Media is shaping the future of the market by delivering quality insights, providing operational excellence and building meaningful relationships across all aspects of business. Exterion Media has recently replaced an existing legacy ERP system with Microsoft Dynamics AX, suitably customised for their business processes and installed in a managed data centre. Exterion also use cloud based Salesforce as their CRM system. A seamless and efficient means to integrate these two systems was required to speed up operations and avoid the need for double keying of data. For example, potential new clients created in Salesforce should be passed to AX for credit checking and approval, before Salesforce should accept orders from them. AX should provide integrated product lookups and price calculations for Salesforce, while AX manages stock levels. Enable AX to manage the fulfilment of orders submitted from Salesforce.